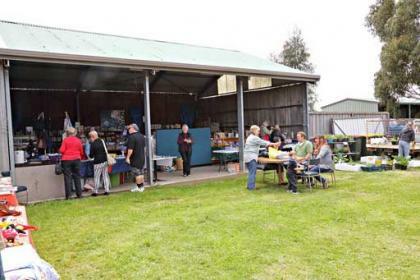 The Triabunna Village Community Market is held on the Third Sunday in each month from 10.00am to 1.00pm. As well as a range of stalls (available for a small fee) including second hand books, bric a brac and seasonal produce, refreshments (BBQ snags & ‘Bunna burgers and cold drinks or coffee & tea) are available. All proceeds from these activities go to the Village. The Village is an East Coast Regional Development Organisation Inc project. Venue 20 Melbourne Street, Triabunna.